The 20 meter long fishing vessel Land Wursten ran aground just oustide the port of Wremen, Germany. The fishing boat was attempting to enter the port during low tide and went aground. No reports of injuries, damage or pollution released. The Land Wursten remained high and dry until the following rising tide. The vessel was later refloated. 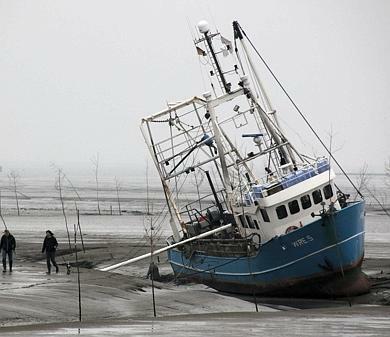 The 21 meter long fishing vessel Fiskeboen became disabled off Tananger, Norway. The Fiskeboen had gotten its propeller fouled by a net. The crew requested assistance with the NSSR Lifeboat Peter H. V. Koss responding. 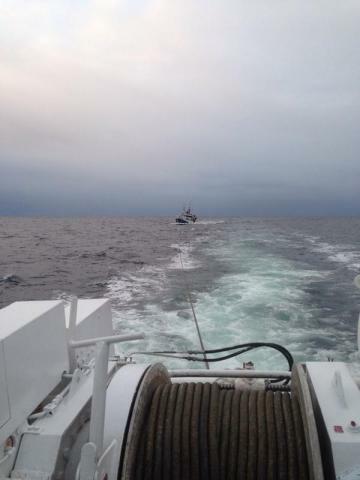 The NSSR lifeboat took the Fiskeboen under tow and proceeded to Tananger safely. No reports of injuries, damage or pollution released. Reports state divers later cleared the propeller while moored in Tananger.